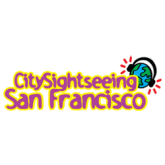 Discover plenty of things to do in San Francisco - with City Sightseeing Take advantage of our Golden Gate Loop, Golden Gate Park Loop, Night Loop and our Down Town Loop for the best way of seeing San Francisco. The city's rich history includes the fort, which was established in 1776 by the Spanish at the Golden Gate and a mission named for Francis of Assisi on the site ; the destruction of much of the city by the 1906 earthquake and fire and its hosting of the Panama-Pacific International Exposition after it was rebuilt, several years later. Today, San Francisco is a popular destination renowned for its steep rolling hills, eclectic mix of Victorian and modern architecture and its famous landmarks which include the Golden Gate Bridge, cable cars, and Chinatown. Discover this abounding destination from the top of an English Double-Decker bus!